Any of our fishing packages can be customized to your wishes, including the addition or substitution of 1 or more days of fly out fishing and/or bear viewing. 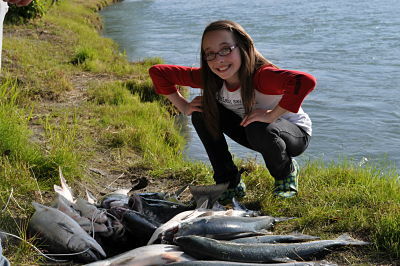 Our Fishing Packages include upscale lodging on the banks of the Kenai River with a full kitchen, direct tv and all amenities. All high quality fishing tackle is provided during guided trips. Single day guided fishing trips wth lodging accomodations also available. Call us at (907) 242-7245 or email Richard@AlaskaOutdoors.com for booking or details. 5 Days of private waterfront shore fishing during the peak of the sockeye salmon run. 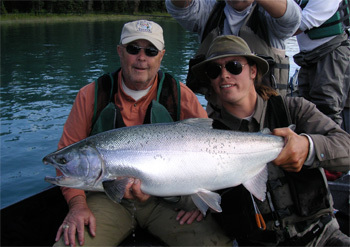 2 Days of guided fishing for Salmon / Trophy Trout on the Kenai River, or halibut fishing, or float plane fly out fishing. 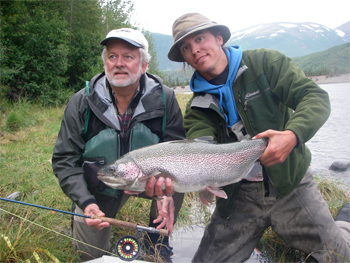 5 Days of guided fishing for Trophy Rainbow Trout / Dolly Varden / Salmon on the Kenai or Kasilof Rivers; including on the water expert fly-fishing and casting instruction by the only FFF certified fly fishing instructors on the river. All the packages are priced per person. Prices subject to change without notice and should be confirmed before booking. Please let us know how many there will be in your party when contacting us. Sales tax of 3% is added to package prices. All fishing trips away from our cabins are fully equipped with rods, reels, bait & tackle along with a very knowledgeable and experienced guide. The only thing you will need is a fishing license, which you can purchase at almost any store or online at "Fishing Licenses". Other custom packages available ~ Reserve your dates ~ Book Now ! Day trips with lodging accommodations available. Lodging / cabins without fishing also available. Note on our: Freshwater GUIDED FISHING PACKAGES. Our guests are guided by professional experienced local Alaskan guides. 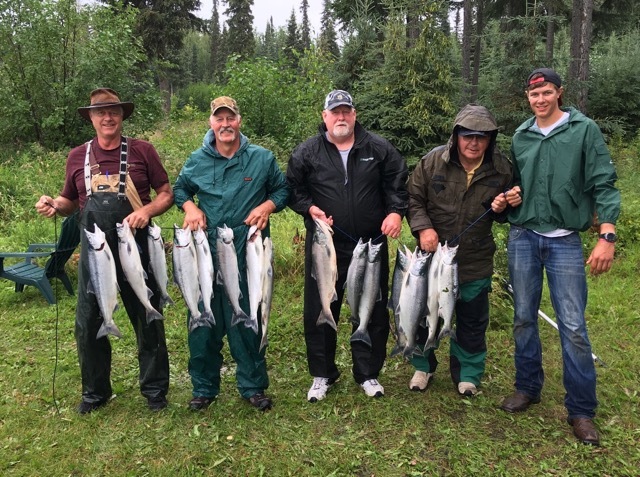 Our recommended guides offer both Day Trips out of our cabins as well as the above multi-day Lodging and Fishing Packages for all species of salmon and trophy rainbow trout on the Kenai River, The Kasilof River, and other local waters. Our fishing guides provide all quality tackle and bait including your choice of fly fishing, level wind, or spin fishing gear along with a box lunch if desired. © 1996-2017 Alaska Internet Marketing, Inc.